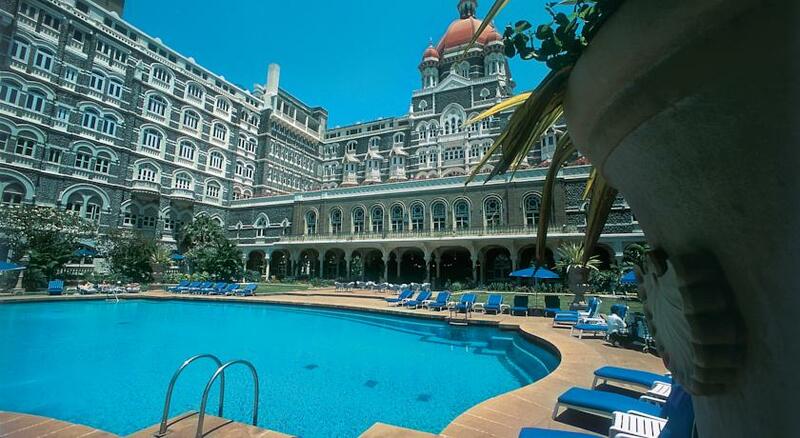 The Taj Mahal Palace is a brilliant example of history and modernity entwined together. This majestic landmark stands right next to the Gateway of India and oversees the wide expanse of the Arabian Sea which adds to the picturesque views its rooms afford. The Taj Mahal hotel’s rooms are an excellent amalgamation of the charm and elegance of the past and the convenience of the present times. This hotel is the first one to have electricity as well as the first licensed bar in town. Welcoming celebrities, royalties, business tycoons and politicians, this hotel has been a crucial player in bringing together the global elite. Housing the finest variety of food chains, the relaxing spa and beauty services, the hotel provides the best ways for the guests to unwind and enjoy their stay. Size - 301 sq ft. Opened in the 1970s, the Tower Wing is a beautiful mix of Indian and European architecture. 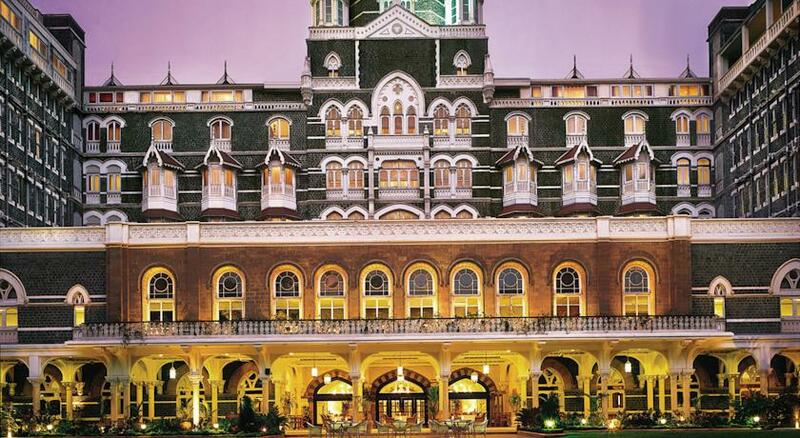 The Tower Wing comprises of 275 rooms - Deluxe as well as Superior- with a panoramic view of the Mumbai harbor and the impressive vista of the city. 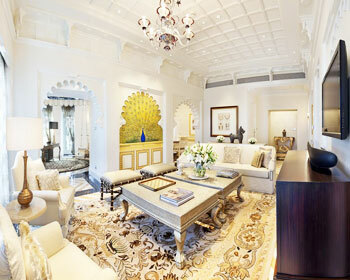 The decor of these rooms is a match of colonial motifs and contemporary elements. Some of the special amenities each of these rooms provides include Wi-Fi internet connectivity (charges applicable), television along with satellite channels and a DVD player, in-room safe, Minibar (surcharge), and a personal tea/coffee-maker in every room. These rooms are within easy access of the Business Centre too. These rooms also facilitate two-line speakerphones with international direct dial and voice mail and in-room fax (on request). 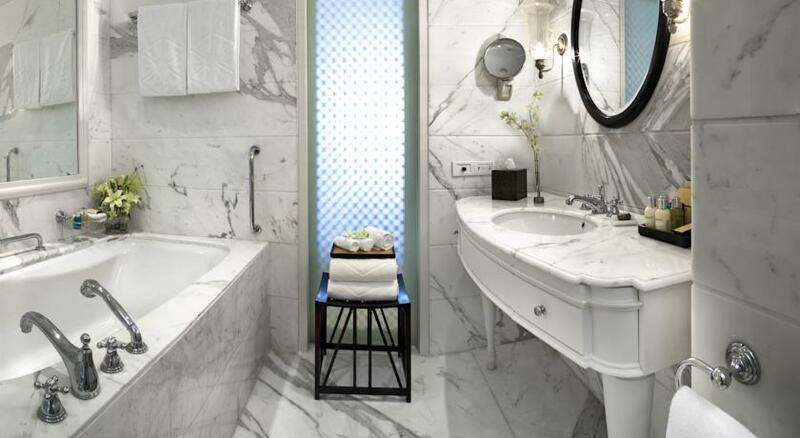 The stylish bathrooms are equipped with rainfall showerheads, bathtubs and designer toiletries. Turndown services are scheduled twice a day. Wake-up calls can be pre-requested. Restored by some of the world's celebrated designers the palace rooms and corridors evoke the royal heritage with pieces of artwork adorning the aisles. 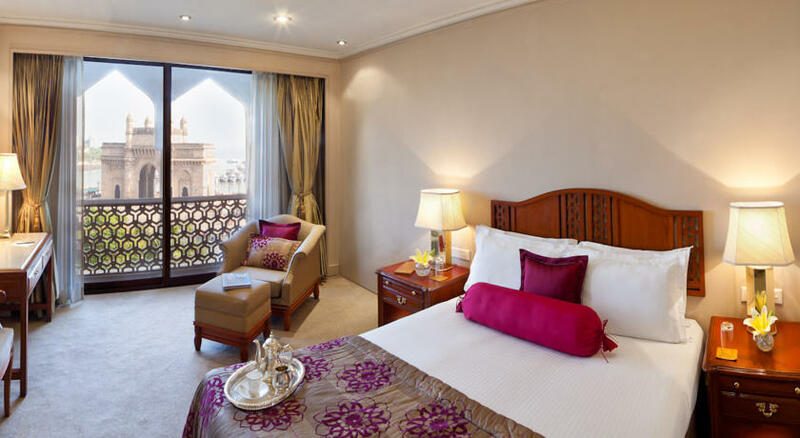 These rooms offer the visitors choices between poolside view and overlooking the Gateway of India or the wide stretch of the Arabian Sea. The bathrooms feature the plush Italian Satwario marbles with colossal bathtubs offering hydro massage hand showers. There are separate cabins with overhead rainfall showerheads and dressing rooms. The standout amenities comprise of wired/wireless internet facility, Sony Bravia Home Theatre System with surround sound, Multi-functional bedside electronic control panel, a stocked minibar (surcharge) and an in-room private safe with inbuilt laptop chargers. 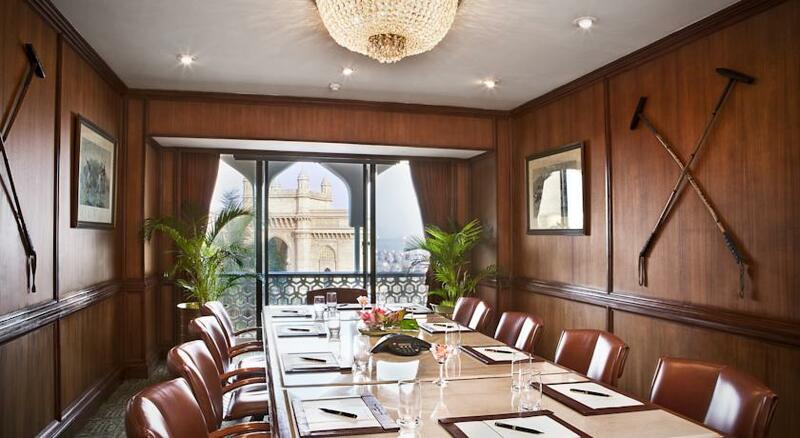 Offering the scenic view of the city, the calming view of the sea or the poolside, the Taj Club Rooms are located on the top floor of the Palace Wing. 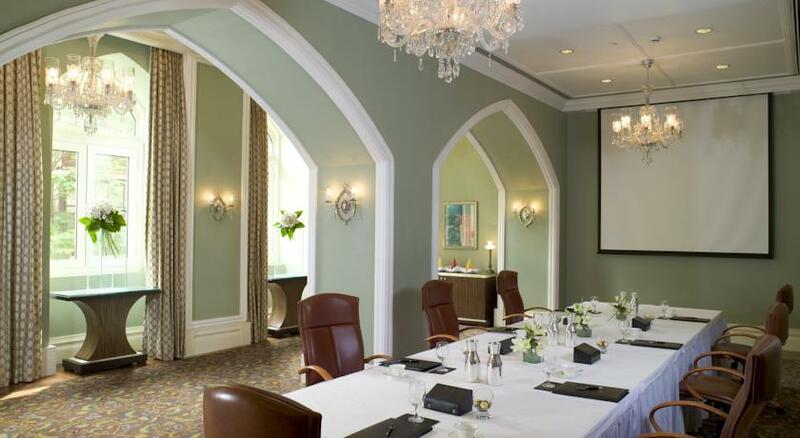 These rooms are designed especially keeping in mind the needs of the Business travelers with an access to the Taj Club Lounge. 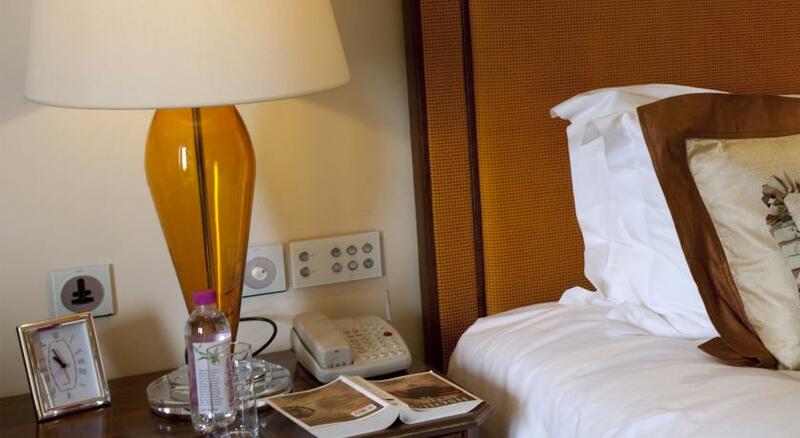 Guests are provided with a choice for a 24-hr personalized butler service. Complimentary services and facilities such as breakfast buffet and tea/coffee throughout the day, access to gym, steam rooms and Jacuzzi, garment ironing each day and airport pick-up are available. Other conveniences include in-room fax, cocktails at the club lounge (during club hours) and early check-in at 9:00 am and late check-out at 6:00 pm (depending on availability). 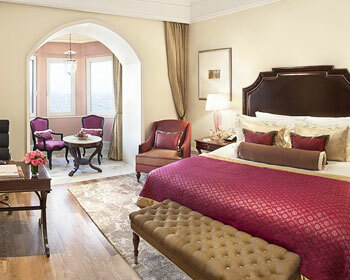 Decked with genuine paintings from celebrated artists and antique furniture sourced from exotic destinations, the Taj Mahal Palace includes 44 suites reviving the glory of the previous century alongside contemporary luxuries and comforts. 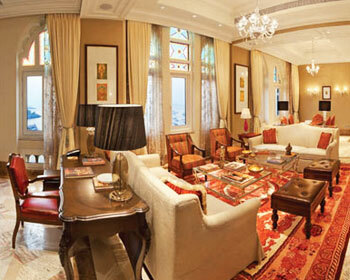 The interiors are adorned with rich shades and hues to reflect the magnificence of the suites. 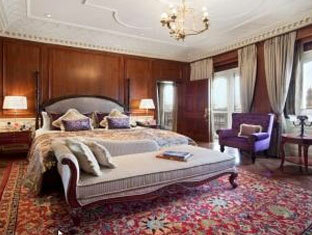 These suites offer the choices of Executive, Luxury and Grand Luxury Suites. These suites are designed as per two varying themes- 'Sunlight' inspired and 'Aubegine' palette. 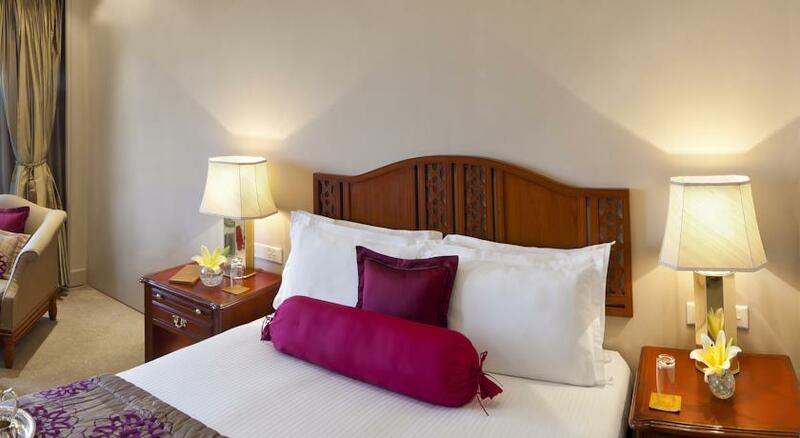 Spacious and modern bedroom, dining room, study room, bath and living room comprise there suites. 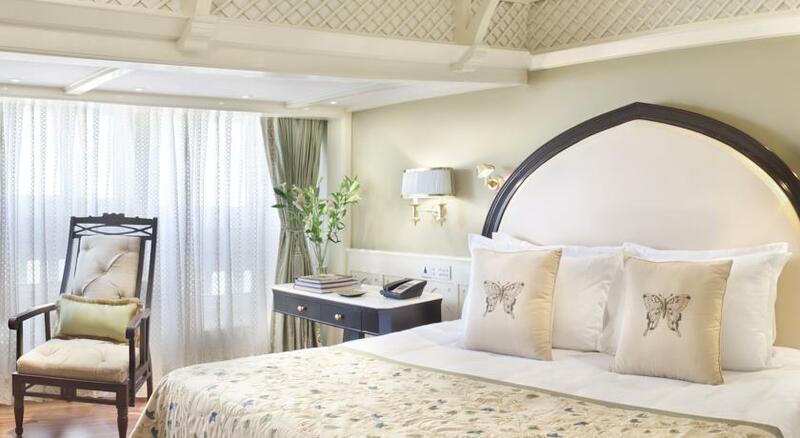 The suites offer luxuries such as premium bedding and blackout draperies, Wi-Fi connectivity (at a surcharge), climate control and minibar with supplies stocked (charges apply). 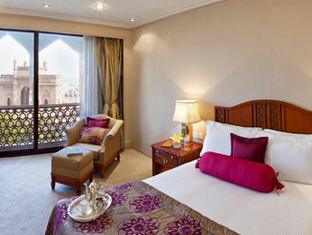 Aptly named, the Luxury Suites are themed and designed prioritizing the convenience and luxury of the guests. 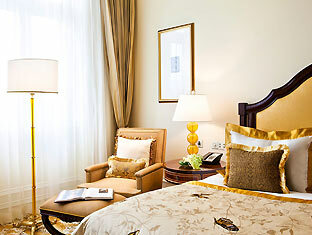 These suites feature all the modern-day amenities like high speed wireless internet access (chargeable), complimentary tea/coffee during the span of the day, complimentary breakfast buffet, private butler services and complimentary bottle of sparkling wine. 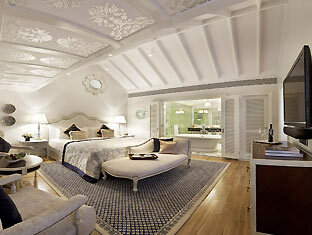 These suites also include the privileges of the Taj Club. These suites are decorated with themes inspired by antiques of the old times and mixes it with modern facilities and cutting-edge technology. 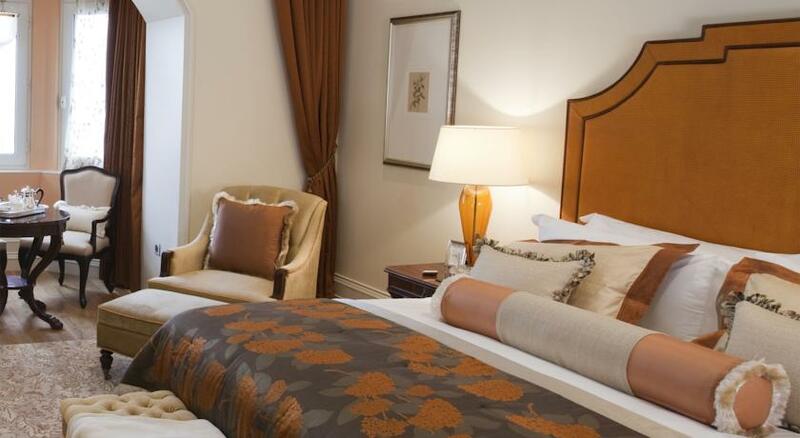 The suite comprises of every comfort conceivable for a delightful stay. In room entertainment includes an Interactive television with DVD player, high bandwidth WiFi (surcharge), personal butler services and minibar (surcharge). The airport limousine transfers are also available on request. 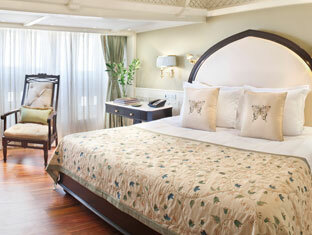 The Signature suites are a true benchmark of luxury and spell opulence to their guests. The Rajput suite bear influences partly from Rajasthani heritage and the Ravi Shankar Suite takes its design cues from legendary sitar player Late Pt. Ravi Shankar. 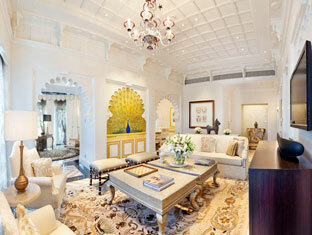 Immersed in the old Rajasthani culture and style, the Rajput suite oozes with modern day luxuries and technology. The marble floor, the walls with relief arches, the niches and friezes gives a traditional look to the architecture. Use of technology like one-touch lighting system and energy management systems collaborates to the conveniences. The contrasting hues of piano black laquer against ivory white add to the grandeur of the suite. The suite has a spacious bedroom and a study with its working desk and a swing. Balconies overlooking the vast sea outline the entire suite. The suite, named after the famous sitar maestro, is adorned with memorabilia from the Ravishankar foundation along with the works of well-known painters like Raja Ravi Verma, Jamini Roy and Raza. The suite also houses a library with a huge collection of concerts of Pandit Ravi Shankar and George Harrison. The colors of the sitar to the music, everything is an inspiration for the suite. 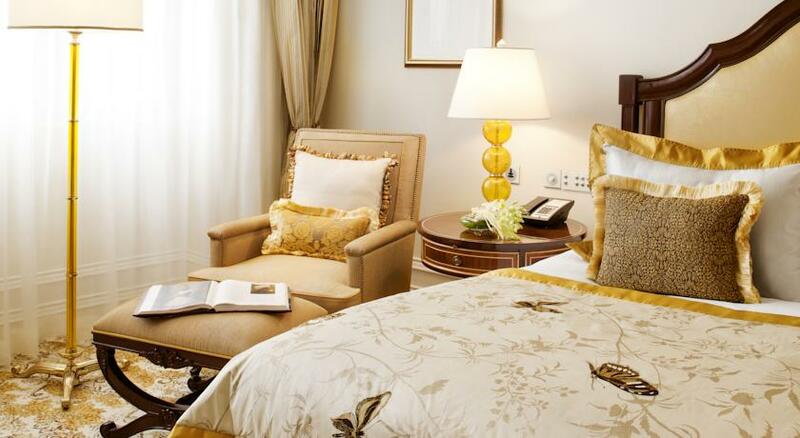 As the name suggests, this suite is created with the elegance and class suited for the heads- of nations or companies. 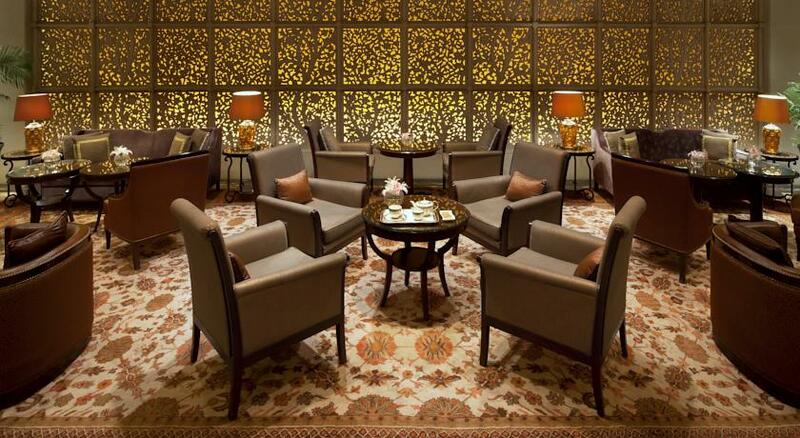 The decor includes the makrana marble floors decked with Indian hand-knit rugs. Classy sterling silver furniture and carved sandalwood pieces are paired with hand-woven silk used as draperies. 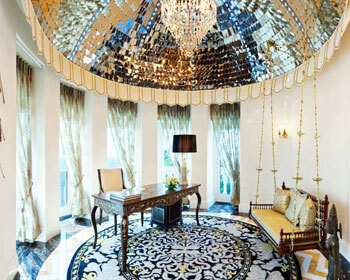 The elegant crystal chandeliers add to the charm and beauty of the suite and the masterpieces of famed artists adorn the interiors giving an artistic twist. The master bedroom is a blend of luxury and present day technology. The mirrored bathroom with its bath salts and perfumes along with a spectacular view of the Gateway of India is refreshing and rejuvenating. Exquisite cuisines from the Presidential menus are prepared by your personal chef who effortlessly incorporates your gastronomical preferences in the food served. The suite features a private spa comprising a personalized Jiva spa menu, sauna and steam rooms as well as the services of two professional masseurs. Offering the finest range of dining options and some the most extraordinary wines, The Zodiac Grill is amongst the most celebrated European restaurants in India. The restaurant’s a la carte menu includes Goose liver, Caviar, Oysters and the chef's signature dishes such as Camembert Dariole along with delectable desserts like Kahlúa Mousse and Peach Melba. Embarked in 1973, the Golden Dragon is famous for its Szechuan and Cantonese cuisines. 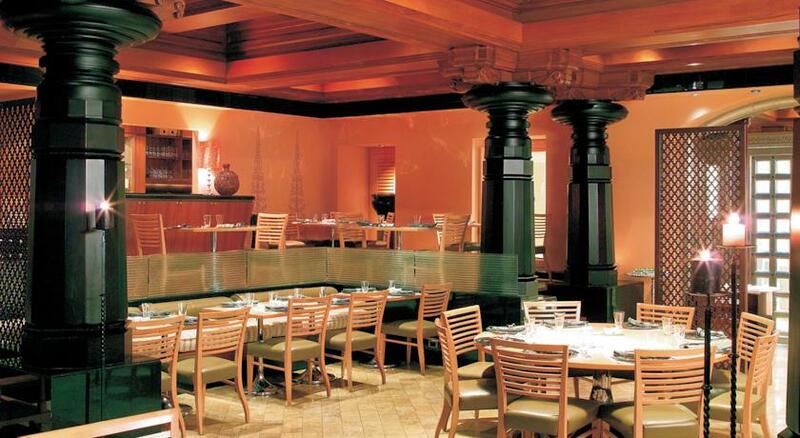 The restaurant keeps up with its oriental tradition with its decor as well as its authentic provincial delicacies. The live kitchen enhances the complete dining experience. The menu is flooded with a huge range of oriental cuisine such as Beggars Chicken, Cheong fan, Golden fried prawns, Mala Tofu and chef's specials like Song of the Dragon and Flambéed mala tenderloin, bean sprouts and scallion. There is a Sunday Dim Sum brunch buffet where guests can treat themselves to an unlimited variety of Dimsums. A wide selection of exotic teas from across the world completes the meal. Well-known for its grand weekend brunches, Shamiana offers a huge diversity of cuisines including Indian, Continental, Italian and fast foods choices. Their a la carte menu is made to cater to the moods and preferences of eccentric guests, from the morning breakfast till the evening dinner. The culinary delights of the restaurant include Western picks like Smoked Salmon, Chicken Fettuccine, Caesar Salad, Lobster Thermidor and Indian favorites such as Masala Dosa, Pakoda Basket and Goan Fish Curry. 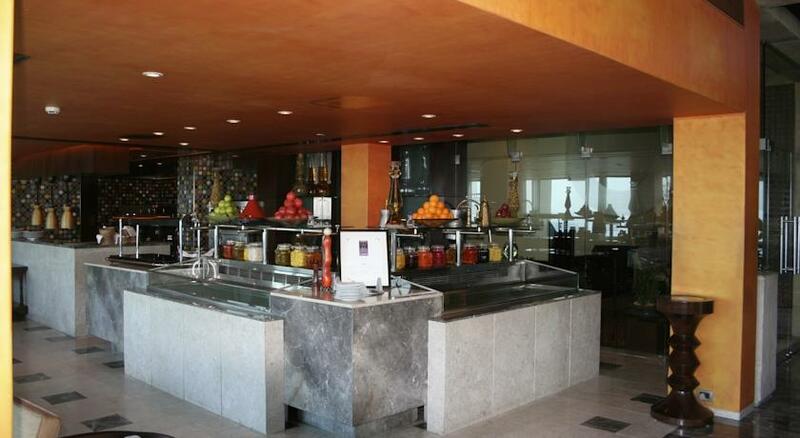 The live kitchen and buffet not just includes food but also an extensive range of wines- Indian and International. The Makaibari Golden Tips tea, Brazilian Cerrado Vintage coffee, Rose Falooda, Baked Cheesecake and Cherry Compote, and Dark Mocha Crème Brûlée are unforgettable to the senses. Inspired by the culinary art of Chef Morimoto, the restaurant offers a fusion of exotic Japanese flavors and spices alongwith contemporary finesse and technique. Once here, the dishes worth trying are Sashimi, Rock shrimp tempura, White fish carpaccio. The restaurant also provides extensive choices for vegetarians like Vegetable carpaccio, Inaniwa udon and Vegetable ‘suki yaki’ which is prepared right at your table. The restaurant provides a panoramic view of the sea making the dining experience soothing to the senses. Masala Kraft brings forth the typical Mumbai culture of the 'Dabbawala' in an elegant manner. The aesthetic blend of authentic and unconventional Indian ingredients in the exemplary culinary preparations sets the restaurant a class apart from the others. Delights such as Haleem Ke Kabab, Paneer Kalimiri and Chilli Olive Naan are pleasure to the taste buds. The live cooking stations provide an opportunity for the guests to interact with the chefs. Sea Lounge provides the charm and elegance of the colonial times with its decor and artful furniture and the scenic view of the Arabian Sea. Considered an institution for the traditional Afternoon Tea, the cafe features a buffet of classic English treats and Indian favorites such as the signature toast-Mumbai Mix, Dahi Batata Puri and Kheema Ghotala. The cafe's selection of the finest teas from Darjeeling, Assam and Nilgiri and the richest coffees from India to Africa is accompanied with live Piano music. 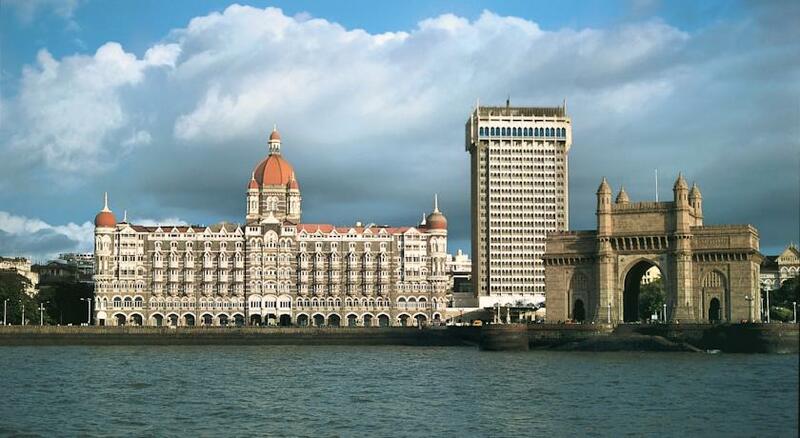 Located at the top floor of the Tower Wing of the Taj Mahal Palace and Tower, the restaurant provides a scenic view of the Gateway of India and the Mumbai harbor. The guests go through a gastronomical journey to the Middle East with authentic cuisines from Greece, Lebanon, Syria, Morocco and Turkey. The sumptuous delicacies like Falafel, Shankleesh, Moussaka and Baklava paired with the aromatic coffee of the Middle East are not to be missed. La Patisserie is a favored centre for the sweet-toothed with its delicious cakes, pies, pastries, cookies, truffles, desserts and cheeses. A range of salads, sandwiches and light meals are available. The selection of its choicest wines goes well with its light meal and bakes. It is a suitable choice for every occasion and celebrations. Situated on the poolside, this restaurant provides an outdoor dining option to its guests. Offering light and savory delights, dainty desserts along with an array of thirst-quenchers like juices, mocktails, cocktails and wines, it provides the best way to relax and enjoy the day. Cabanas are also available for smoking (residents only). The Harbour Bar, commenced in 1933, is recognized for being the first licensed bar in Mumbai. 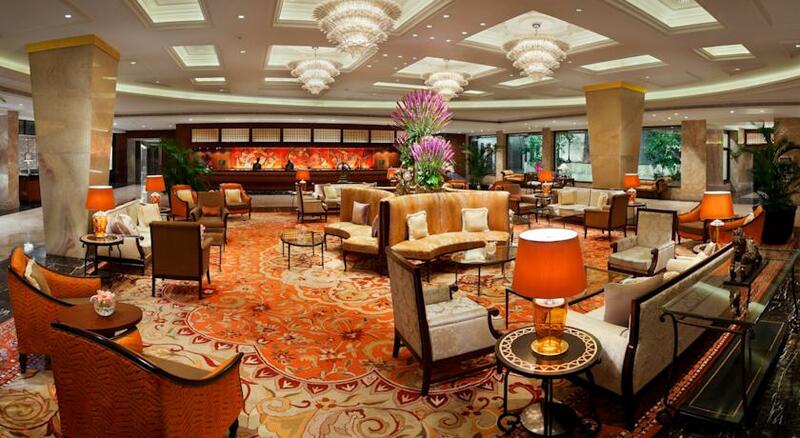 With its plush interiors and intimate settings, the bar makes for an excellent place for light meal and drinks. The signature drink that the bar offers is aptly called 'From the Harbour since 1933'. Guests can enjoy the unconventional snacks such as Curried Crab Filo and Guacamole Golgappa as well as the fresh, exotic relish of the cocktails like Paan Flip or Champagne from amongst the finest collection. Serving authentic Mexican cuisine, with its vibrant ambience and portside bar, this one is a winner. The savory treats such as Fajitas, Nachos, Techdillaz, Enchiladas and Burritos coupled with the most tasteful Margaritas are something to cherish. Exquisite Mexican delicacies like Pescado Con Jalapeno and Chilli Con Verdure are scrumptious. The Bar features a huge selection of liquor, wines, cocktails and cigars. 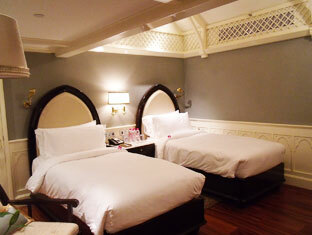 Jiva Spa at Taj Mahal Palace & Tower Mumbai, boasts of pleasing its visitors with world class treatments and therapies. From ingredients to cuisine, hygiene to etiquette, everything is taken care of. Indulge into a rejuvenating experience and feel the eternal bliss. Jivaniya – A matchless feeling of allowing exotic Indian herbs to alleviate those aching muscles. Sama – Sama promotes wellbeing via Yoga postures, breathing measures, concentration techniques and deep sleep. Shudhikara – ‘Shudhi’ means purification. Thus, this treatment helps to cleanse you mind and body. Champi – This ancient Indian technique for a thorough head massage is quite popular and effective as well. Sammardana – It enhances the mobility of joints. Pada Mardana – a special treatment for a special part of the body. Vishram – Explore how a signature fragrant oil can lead to utter relaxation. Orja Dayaka – It involves deep muscular massage using a special oil. Pavithri - This treatment entails eliminating impurities from the body. Mocha Patra – It refreshes your using ancient healing characteristics of plantain leaf. Narikela – A soothing treatment is effective for moisturizing and soothing the skin. Prtihvi Mrit – Well suited for all those who wish to regain the lost glow. Gentle – Practice some asana of intermediate level and help the chief joints of the body to rotate. Hirdayakasha Dharana – A bliss to relieve mental tension and anxiety via communicating and expressing them. Kunjal Kriya – Get rid of the problems like asthma and acidity with the help of saline water. Anana Lepa – Lasting for 60 minutes, this therapy uses ingredients directly from your kitchen. Dev Nidra – It begins with a soothing bath using oils and salts and an aromatherapy massage is followed after it. Sukha – The sequence of treatments is a deep nourishing mask, a pehlwan malish and an Indian oil massage. Svashakti – It is a combination of champi, pavithri therapy and yoga session. After the holistic treatments from Jiva Spa, you can further choose to go to Taj Salon for a wholesome royal feeling.